The day after Christmas is the beginning of "Hell Week" for Dave Wallach of Hacienda Heights. That's when he starts organizing thousands of volunteers who work day and night decorating the Kiwanis International float for Tuesday's Tournament of Roses Parade. Wallach, district chairman of the Kiwanis International Rose Float Committee, has the monumental task of scheduling 7,000 volunteers - the size of a small city. "We've been working on the floats from 5 a.m. to midnight," he said. "And I'm there most of the time." The Hacienda Heights resident is like a floor manager, slotting volunteer workers from local high schools and colleges to paste flowers, glue seeds, etc. onto the bare floats. "I've been working on the floats for 12 years and every year is a different challenge," Wallach said. 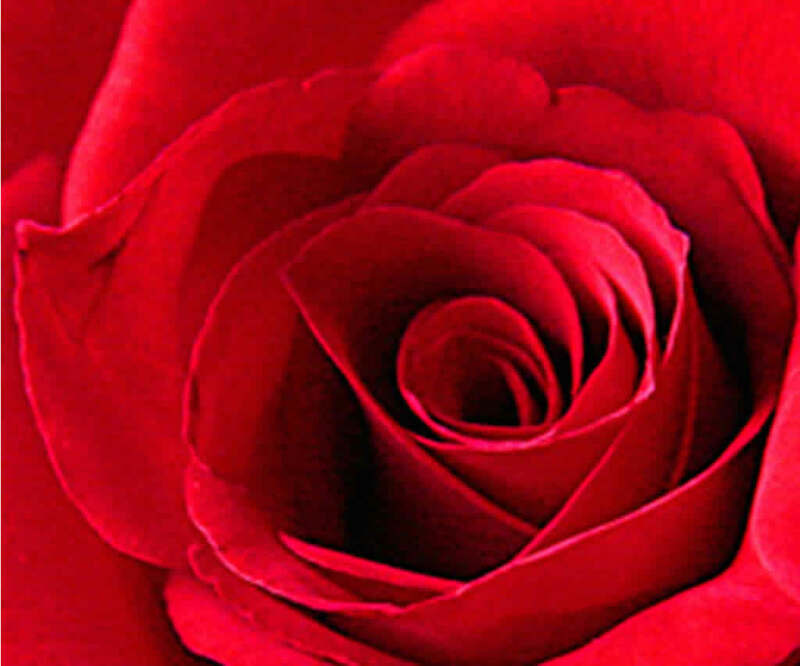 The Kiwanis Club works with Phoenix Decorating Co. affixing flowers to more than 10 Tournament of Roses floats at the company's Rosemont Pavilion in Pasadena. This year, Kiwanis International is sponsoring a float called "A Child's Magic Carpet Ride." The Arabian Nights fantasy features a flying carpet with 16 riders. One of the riders will be 13-year-old Parvene Barimani of Hacienda Heights. Her brother, Firuze, is the president of the Key Club at Wilson High School. "The Hacienda Heights Kiwanis had an opportunity drawing to ride on the float and Firuze bought a ticket for his sister," Wallach explained. The floats are a big deal for local students, many of whom belong to the Key Clubs and Kiwin's groups sponsored by the Kiwanis. "More than 90 percent of our volunteers are high school and college students. The kids are fantastic; they really come through for us every year," Wallach said. He can have up to 500 students working on a shift. The kids come from all around Los Angeles, including Los Altos, La Puente, Wilson, Rowland and Diamond Bar high schools. "Rowland High has already been here and Diamond Bar High has a lot of volunteers this year," he said. 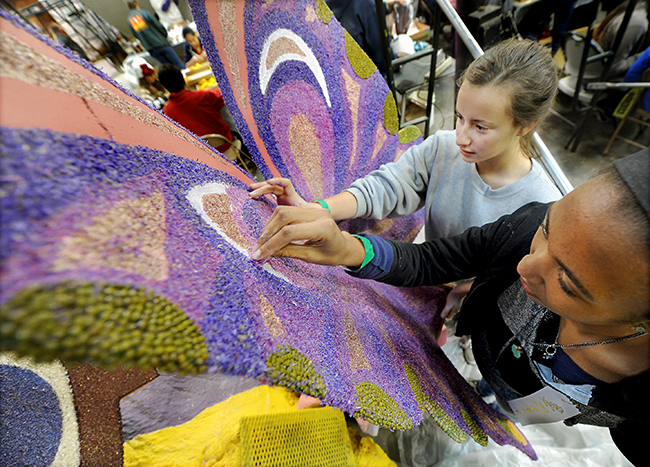 "The Rose Parade float has become the biggest community service project in Kiwanis International." Volunteers spend up to eight hours a day working on the floral floats. Wallach at times has been running two shifts, one from 8 a.m. to 4 p.m. and a second shift that finishes at 11 p.m. Sometimes the work is tedious, but the high schoolers don't seem to mind. For example, one job entails cutting thousands of flowers and placing each one in a vial of water. The live flowers are placed on the floats a day or two before the parade. "Many of the flowers are very delicate, so we can't put them on too early," Wallach noted. Every inch of a Rose float has to be covered by organic material. Seeing the amazing floats roll down Colorado Boulevard Tuesday morning makes the monumental effort all worthwhile. "It's a lot of work every year, but I love it," Wallach concluded. "The week after the parade, Phoenix will show us their designs for the next year and we start all over again."